The Spanish Department of Agriculture has carried out a study that analyzed the relief of different Autonomous Communities. The study considers sloped land that which has a slope greater than 20%. 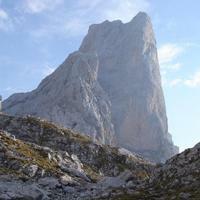 The global figures obtained indicated that an average of 32% of Spain's territory is sloped. Asturias is the Autonomous Community with the highest percentage of sloped land (81% of the surface) while Extremadura is the most level Autonomous Community (only 16% of the surface area is sloped). What Spanish Autonomous Community Has the Most Beautiful Natural Landscapes?